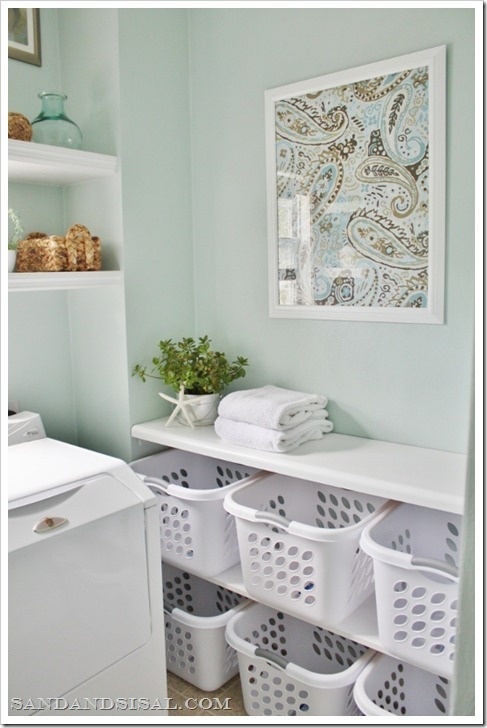 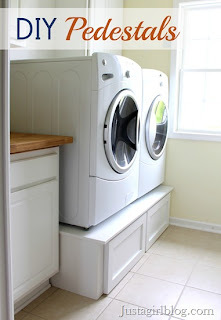 Today I am sharing some ideas for improving our laundry rooms. 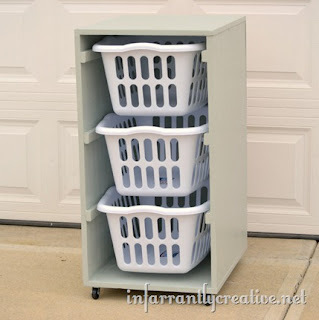 Make this Laundry Basket Dresser from Infarrantly Creative. I wish I had room for this Laundry Sorter Station from Sand and Sisal. from Just a Girl Blog.